Some of our readers might remember the Jambox Bluetooth speaker created by Jawbone and available as either a smaller cut down sized speaker or as the Big Jambox. 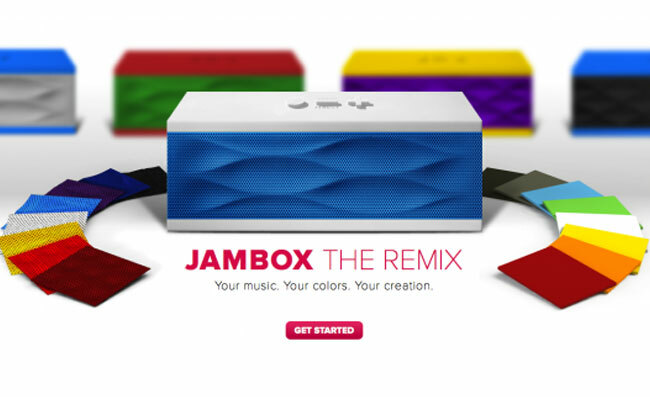 Well this week Jawbone have released a new way to add colour and personalise your smaller original Jambox speaker with the aid of colourful new panels which can be easily clipped into place. Jawbone has created a brand new website tailored to users that would like to customise their speaker a little more, and maybe replace any damaged panels with ease. In total there are 13 different grill colours with 4 unique designs to choose from. Jawbone has made the new colour range available to Jawbone Insider members from today as well as any Klout users, with availability to the general public starting from August 28th 2012.